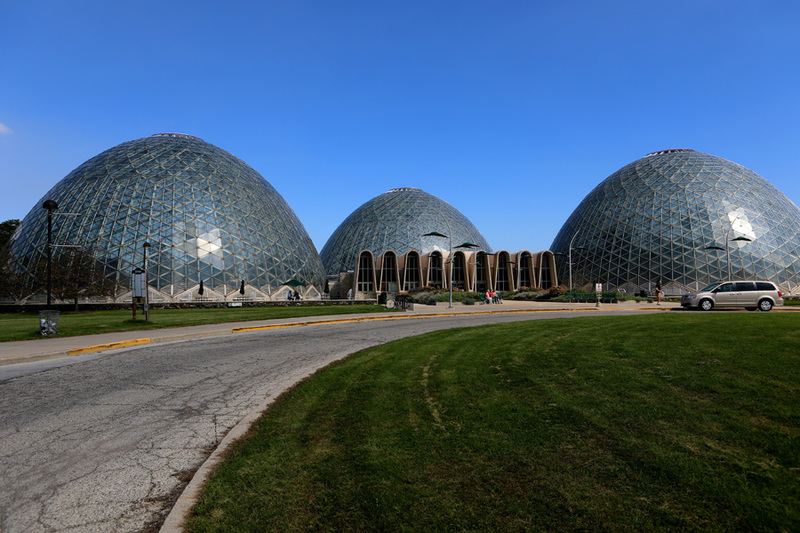 I start my day off in Mitchell Park. 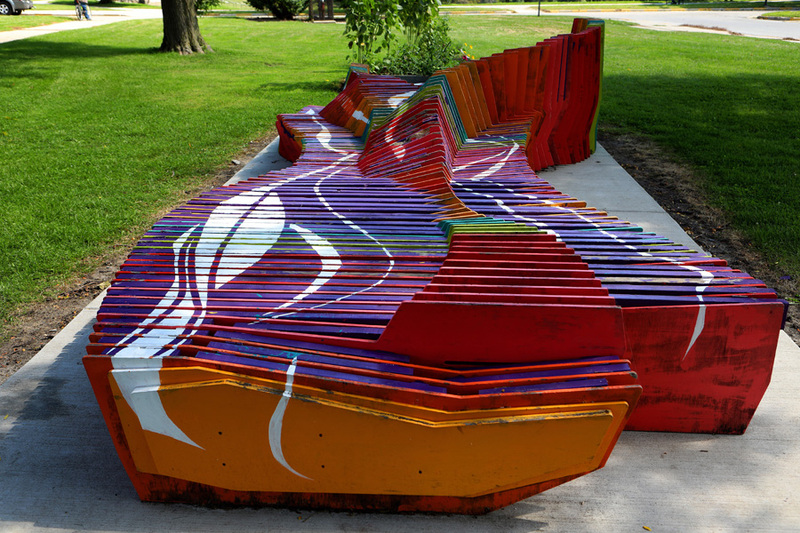 After parking and walking inside the park, I noticed a very colorful art piece. 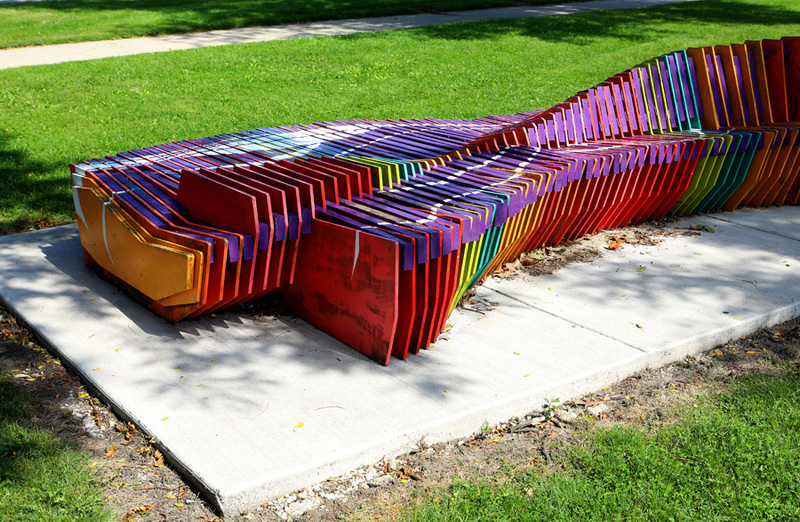 Once I got closer, I see that it’s Adriana Arteaga, Ian Kearns and Blake Villwock's The 'Drift' Bench. 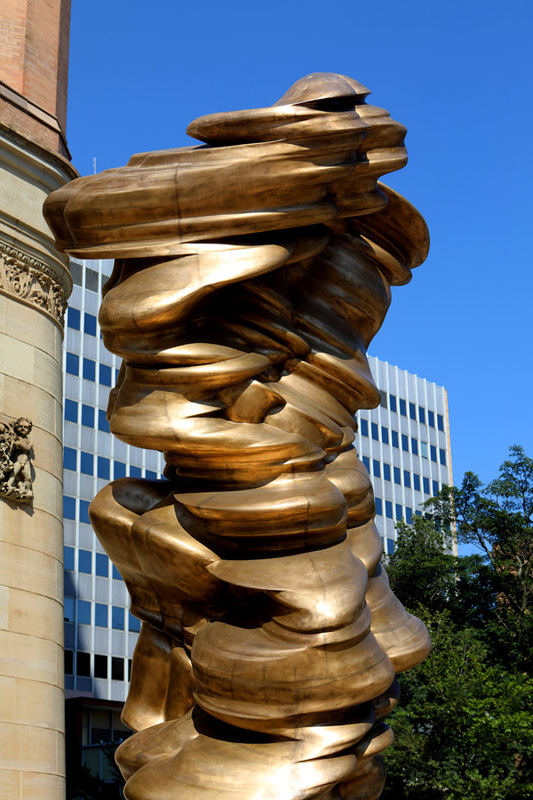 I thought this was a pretty cool installation that you could actually sit on. 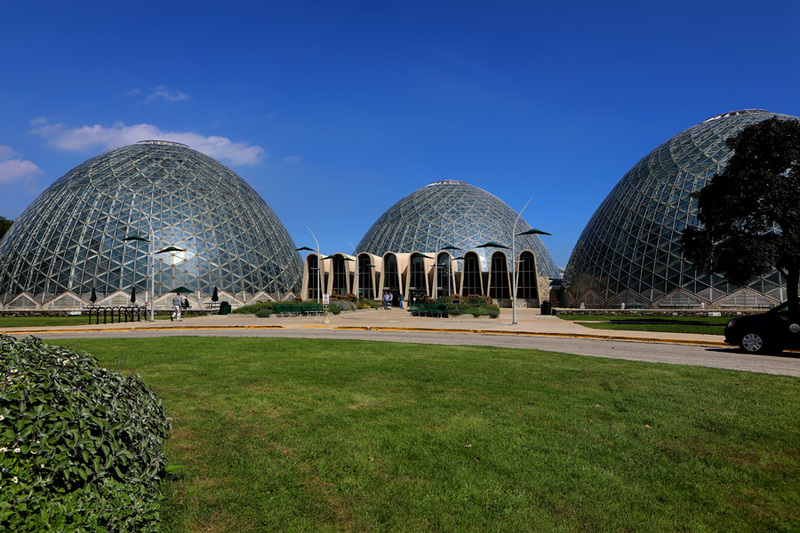 Further into the park, I photograph The Mitchell Park Horticultural Conservancy…commonly known as The Mitchell Domes. 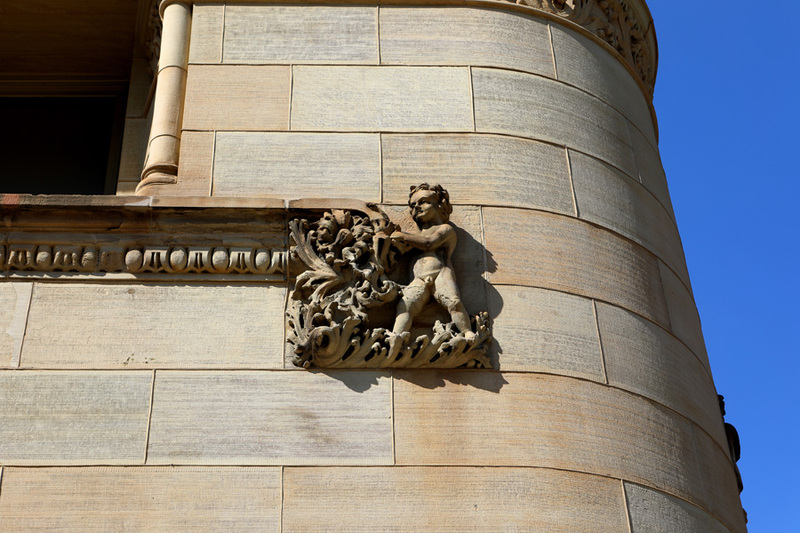 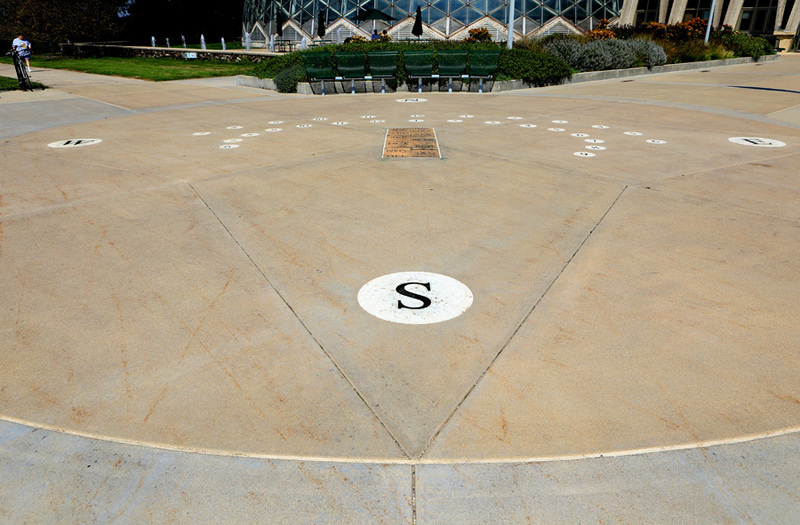 Outside the Mitchell Domes is The Human Gnomon Analemmatic Sundial, which is a very educational piece of work. 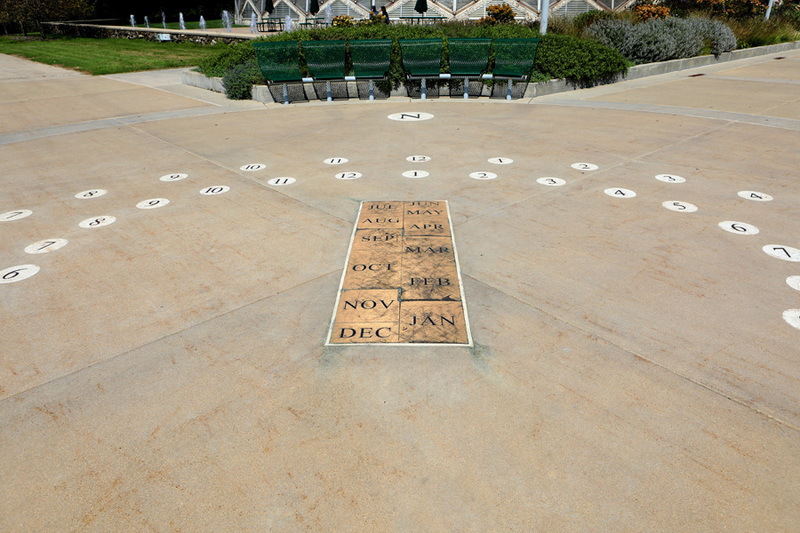 There are instructions on the signage to tell you how the sundial works. 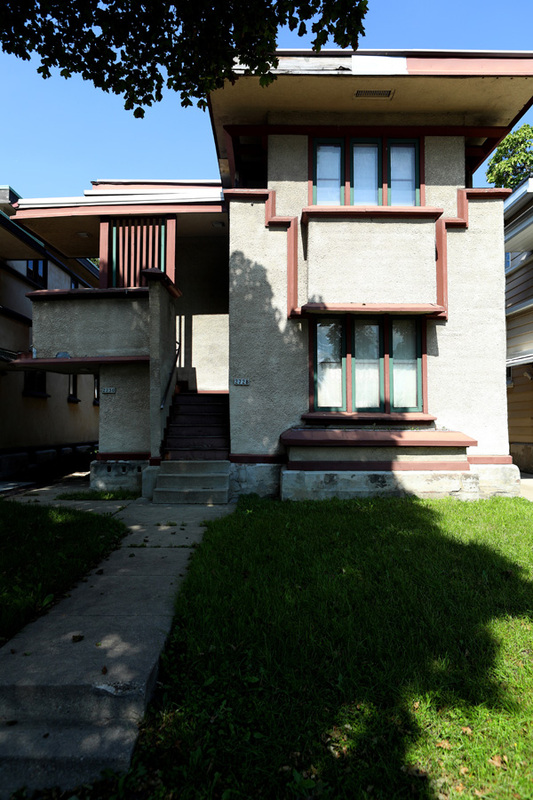 My next stop was further up the road on Burnham Street to visit and photograph what’s known as “Frank Lloyd Wright’s Burnham Block”. 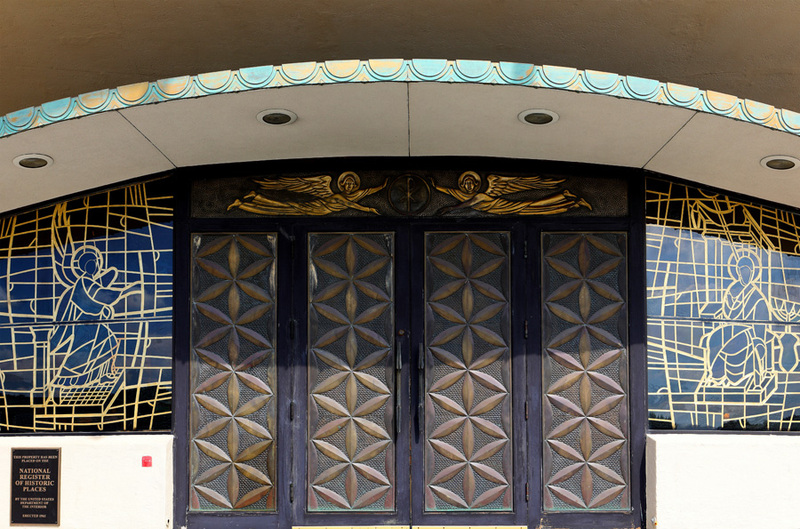 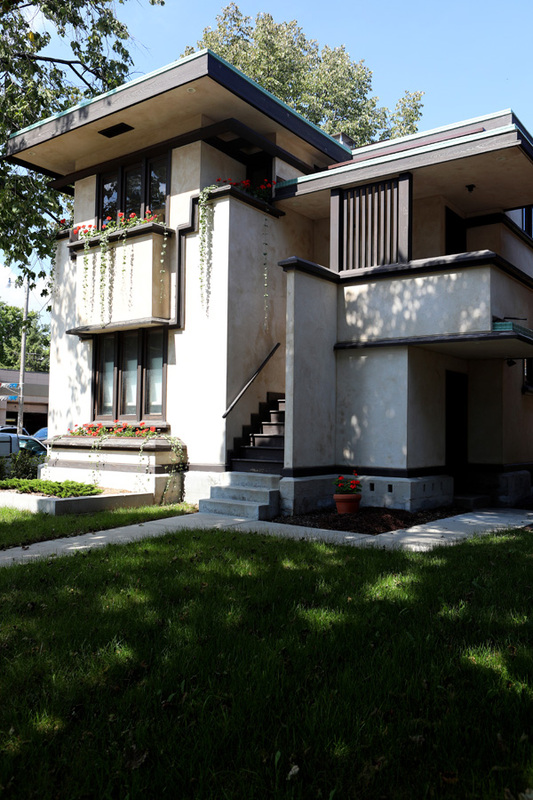 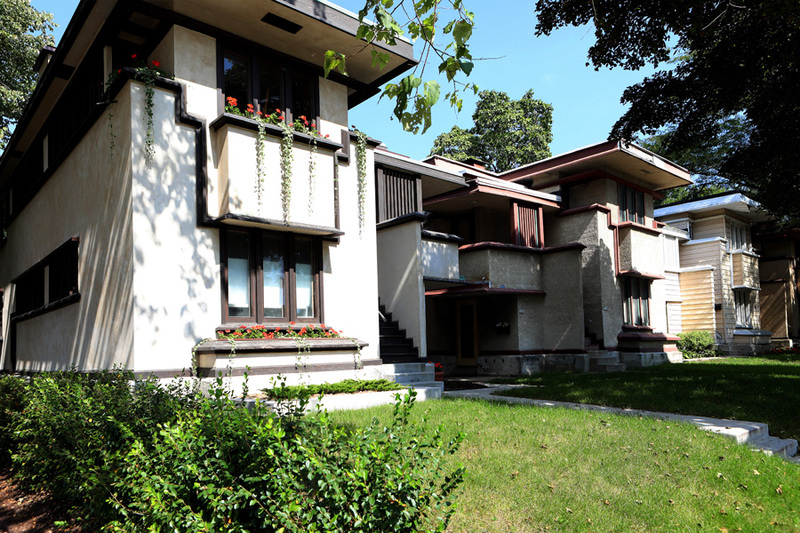 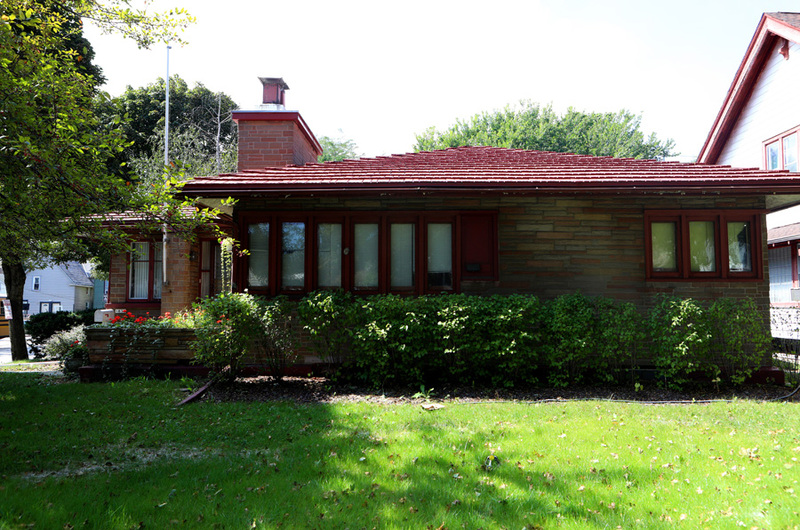 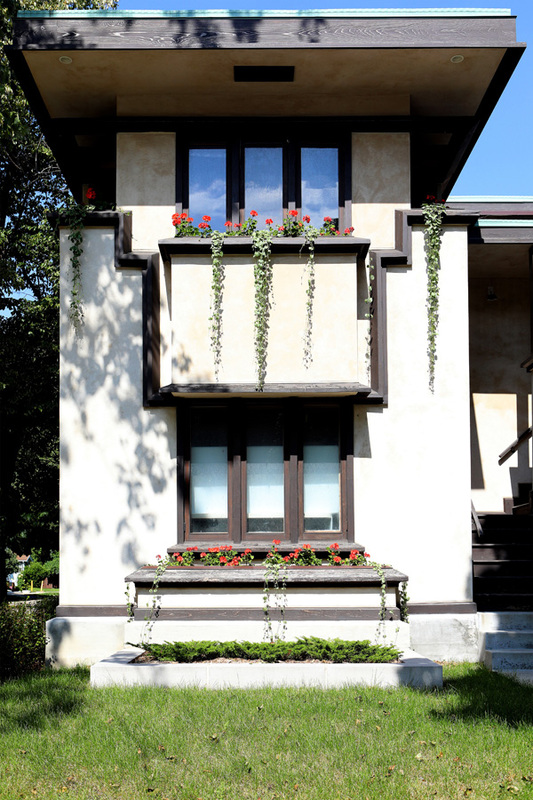 Famed architect Frank Lloyd Wright put his “stamp” on Chicago and Oak Park as far as architecture is concerned. 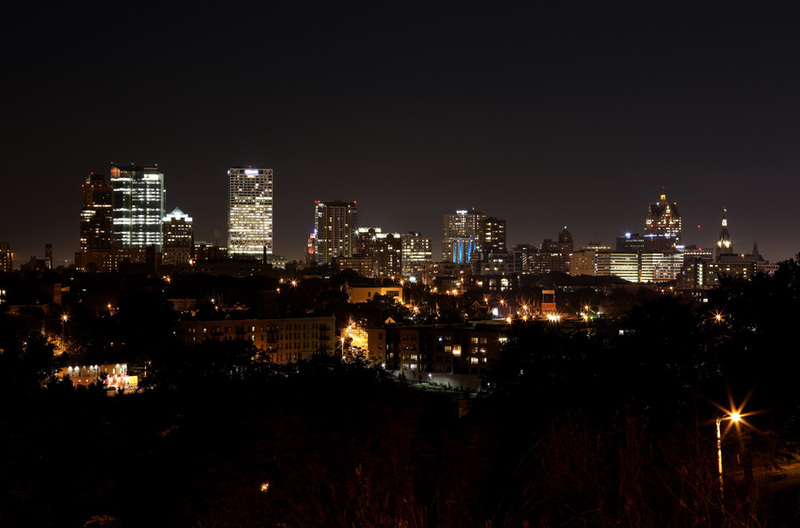 But Milwaukee claims a very important part of him as well. 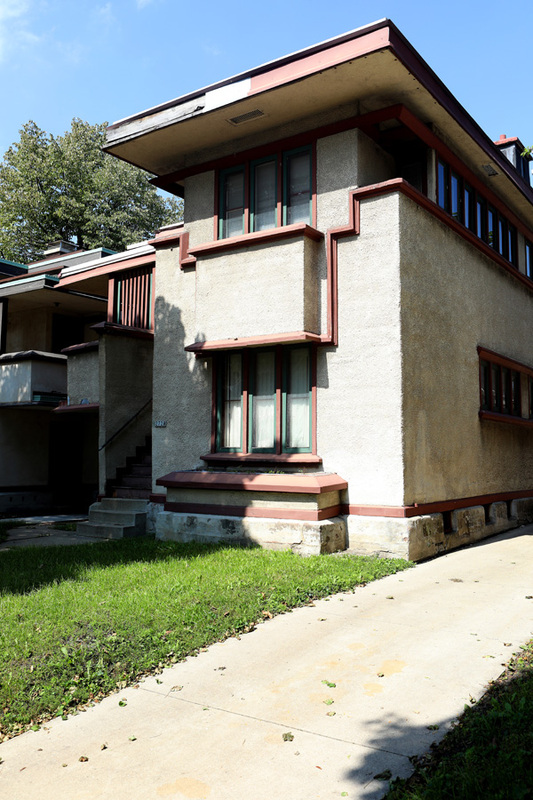 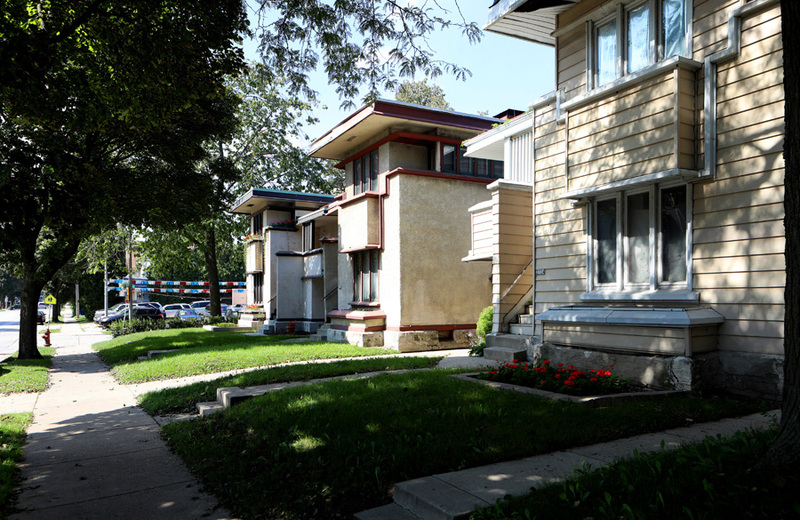 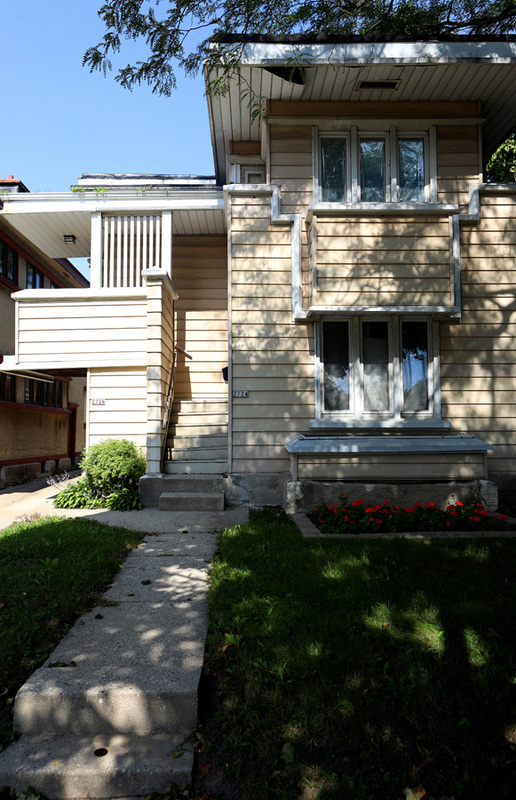 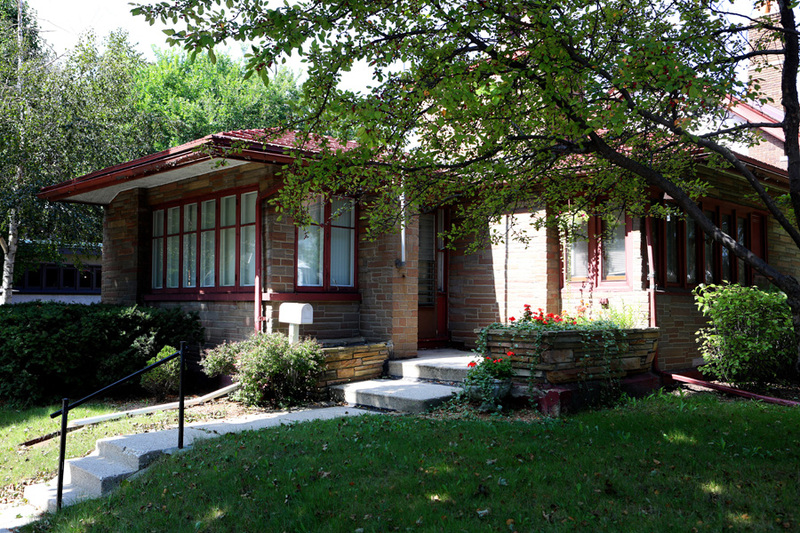 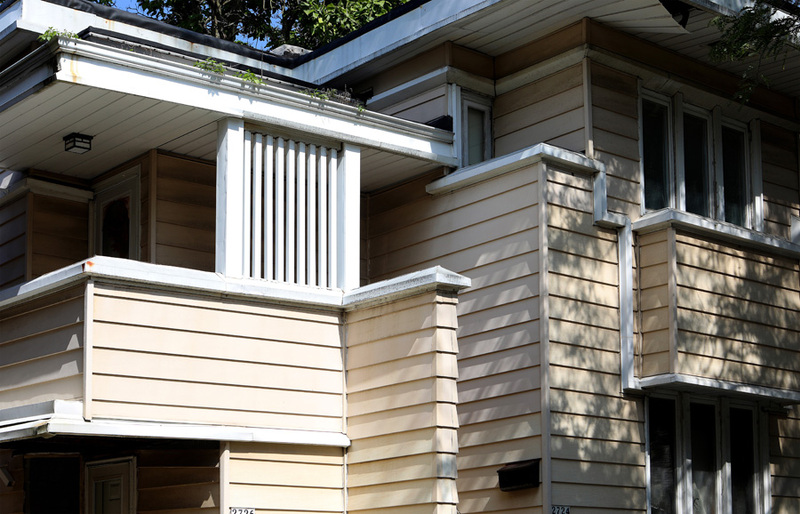 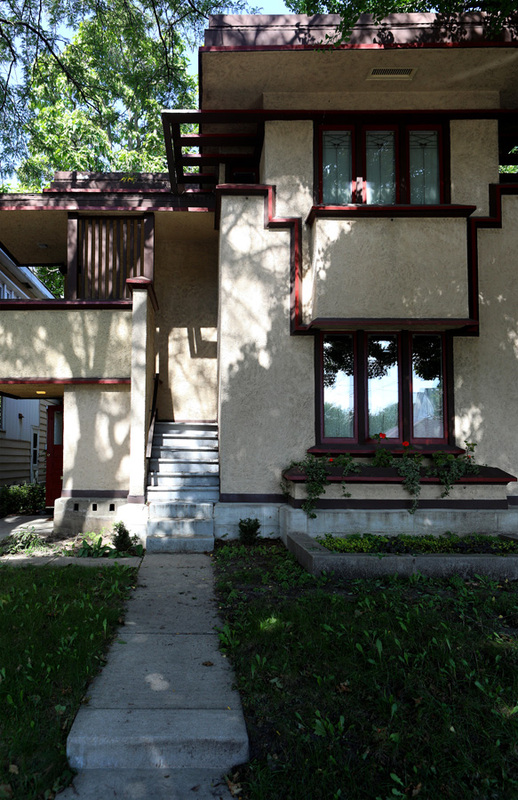 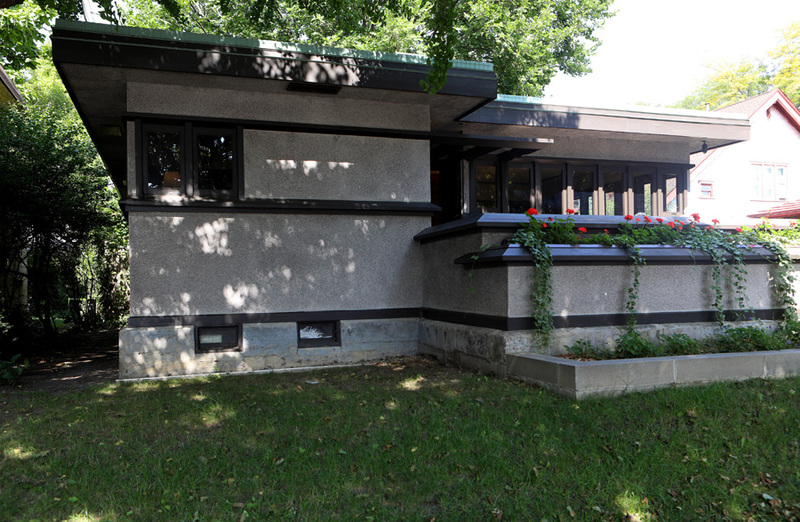 Again, known as the “Frank Lloyd Wright’s Burnham Block”, there are six homes designed by Mr. Wright which spans the entire block. 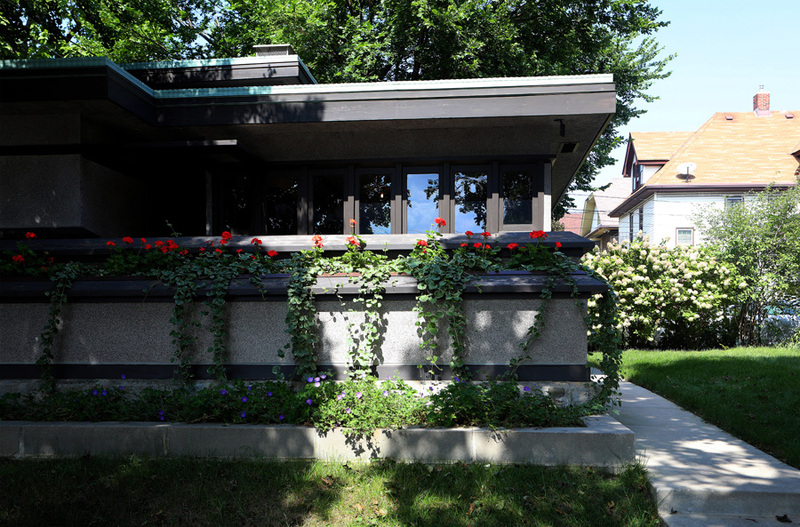 From the Arthur L. Richards Bungalow built in 1915 at one corner, and the Arthur L. Richards House built in 1916 next door and the four Arthur L. Richards Duplex Apartments also built in 1916 that completes the block, this is surely what I call leaving a long-lasting legacy. 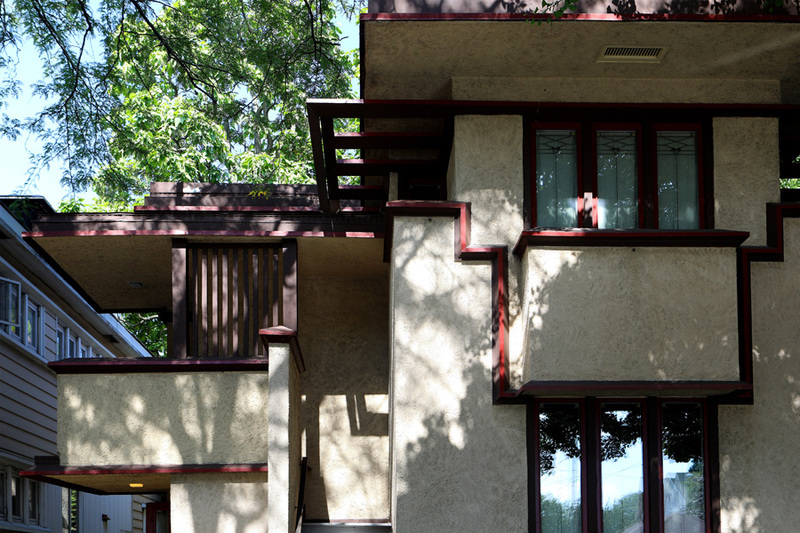 Frank Lloyd Wright is indeed tha man! 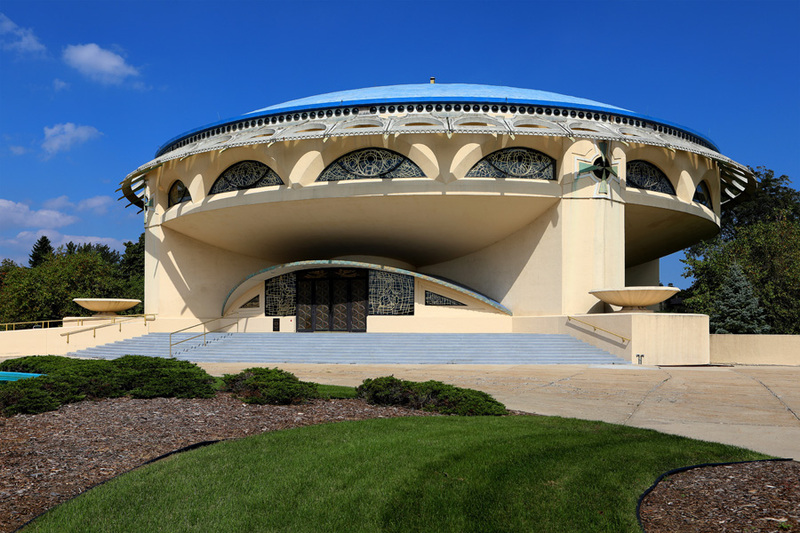 Continuing on my Frank Lloyd Wright jaunt, I drive out to the Annunciation Greek Orthodox Church in Wauwatosa, Wisconsin. 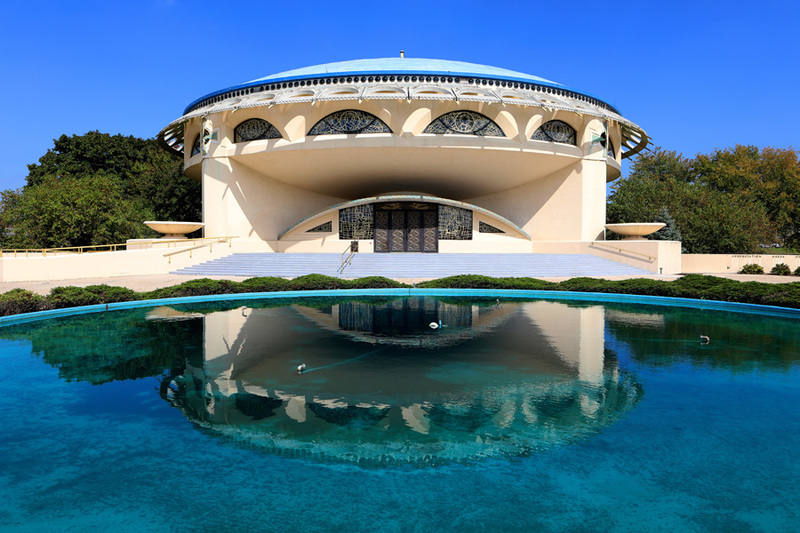 This unique church was designed by Mr. Wright in 1956 and is listed on the National Register of Historic Places. 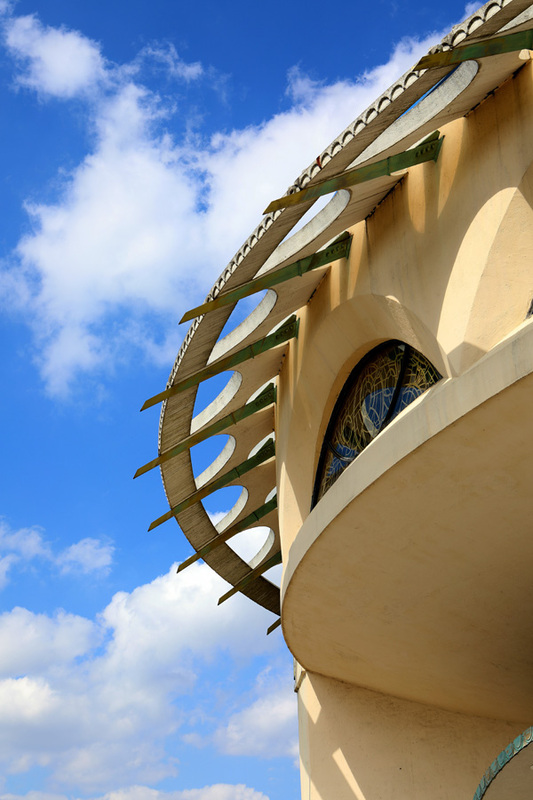 The church is one of Wright's last works where construction was completed in 1961, but sadly after his death in 1959 at age 91. 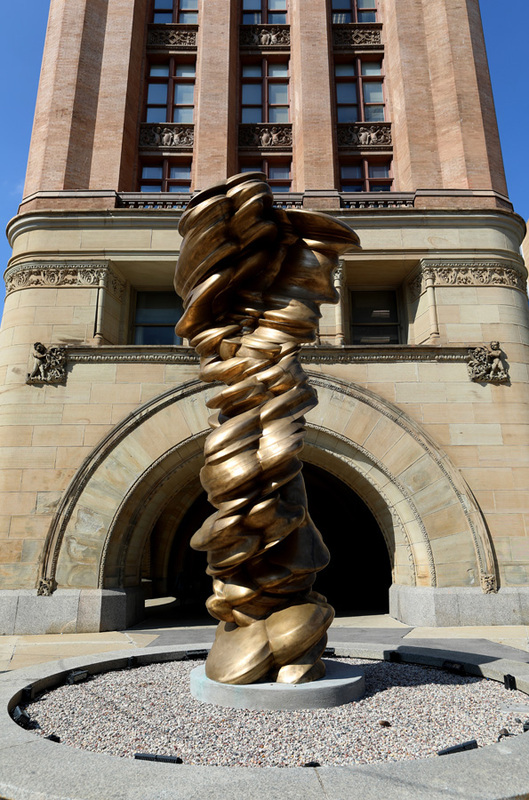 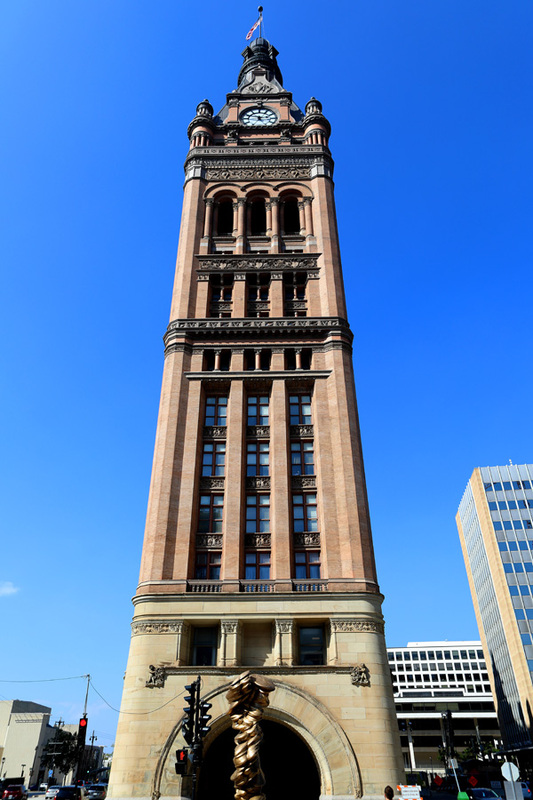 Back in downtown Milwaukee, I head over to City Hall to photograph Tony Kragg's ‘Mixed Feelings’ sculpture, which stands out front. 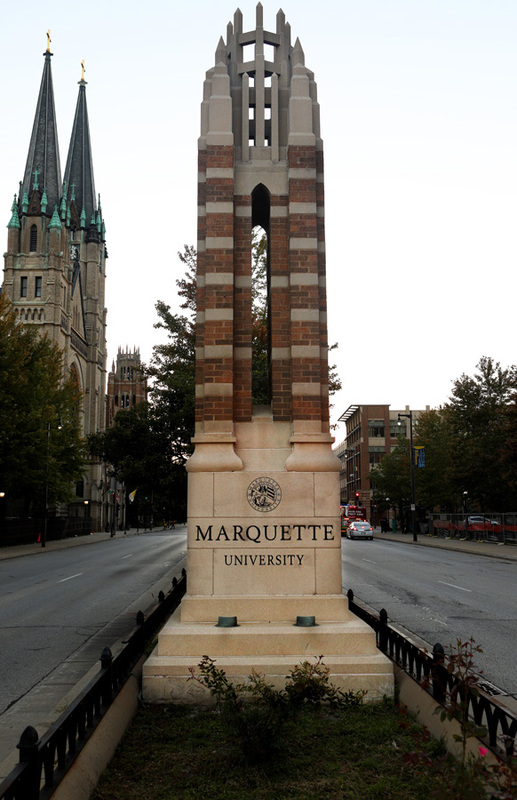 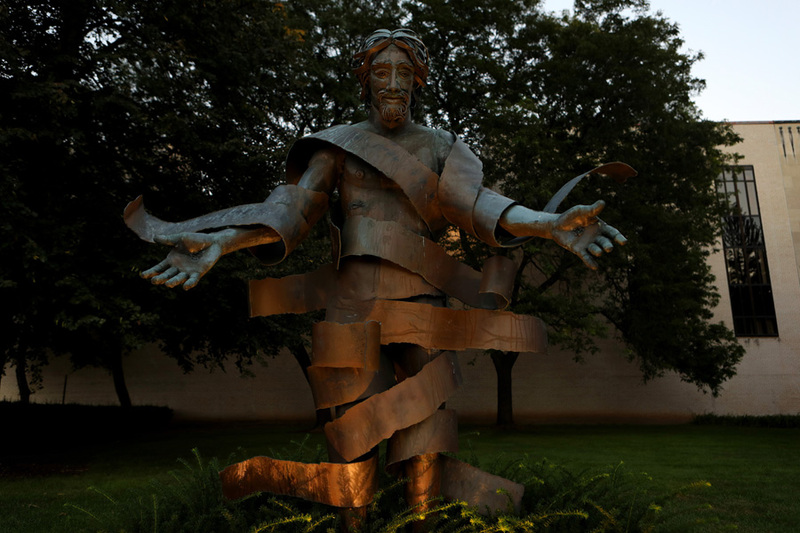 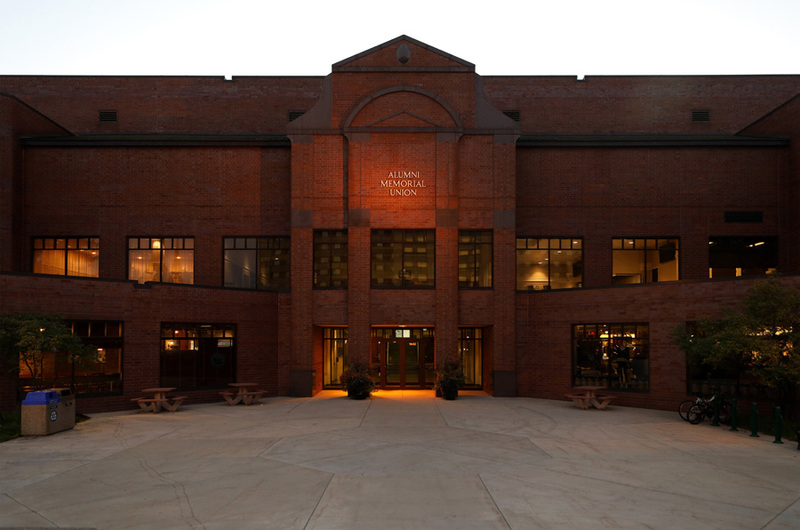 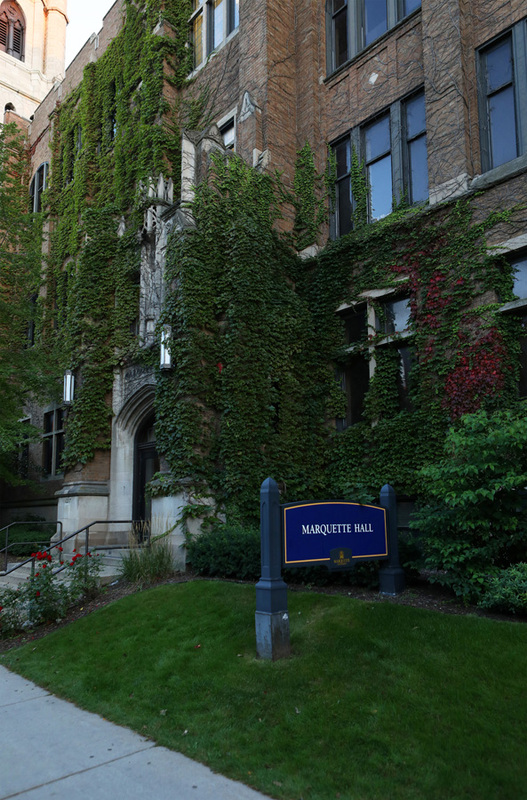 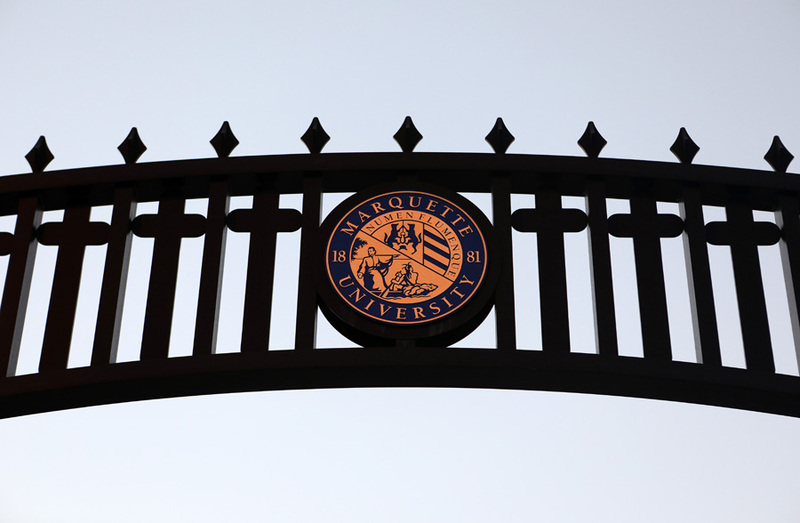 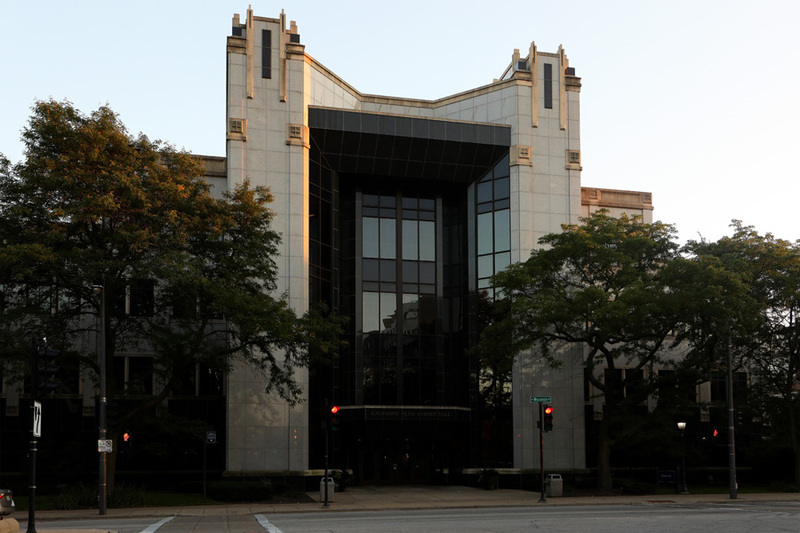 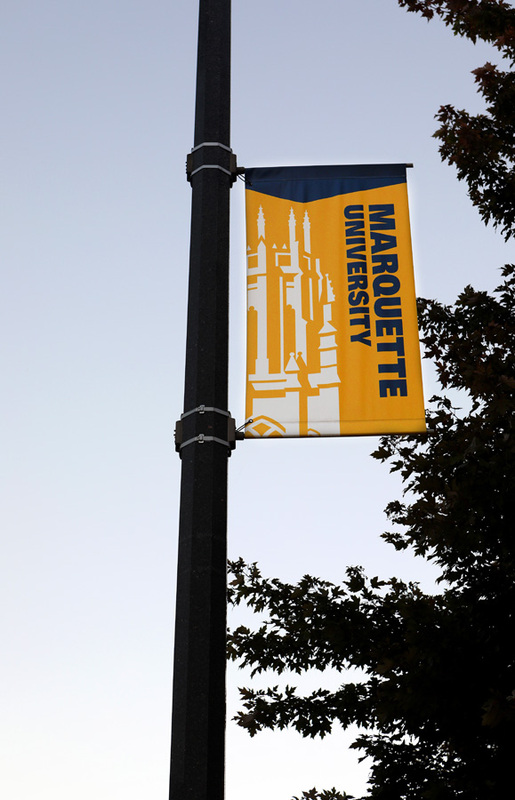 From there I go to Marquette University where I photograph Katharine Reed Cudahy Hall, Marquette Hall, Norman Christianson's ‘Christ Arisen’ sculpture and the Alumni Memorial Union building. 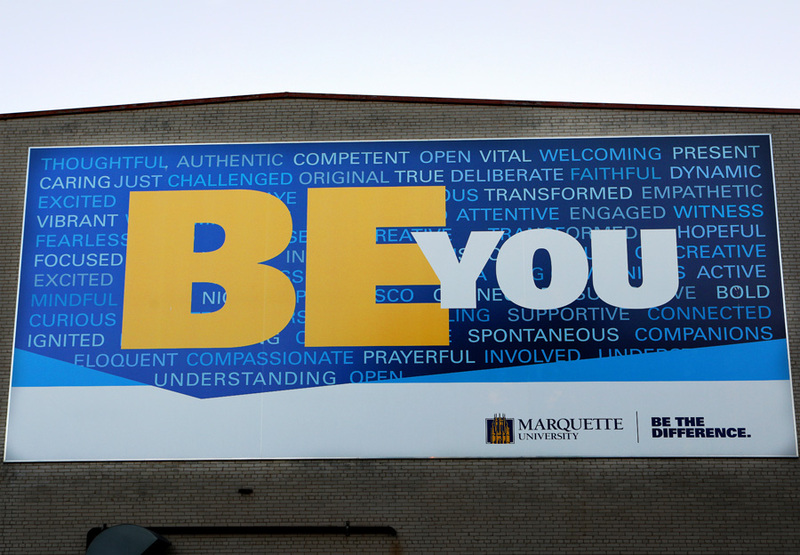 While walking the grounds, I stop to admire a huge “Be You” billboard on the side of a building, which I also photograph. 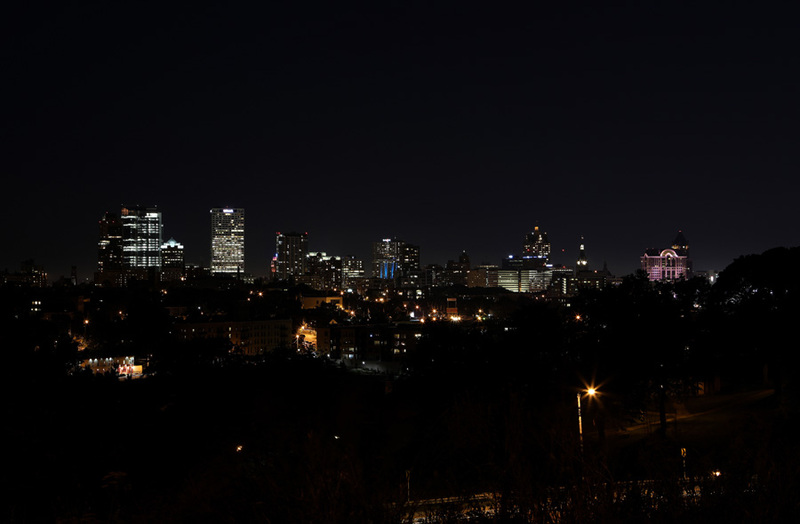 As the night sets in, I go up to Kilbourn Park where there are nice, sweeping views of downtown Milwaukee. 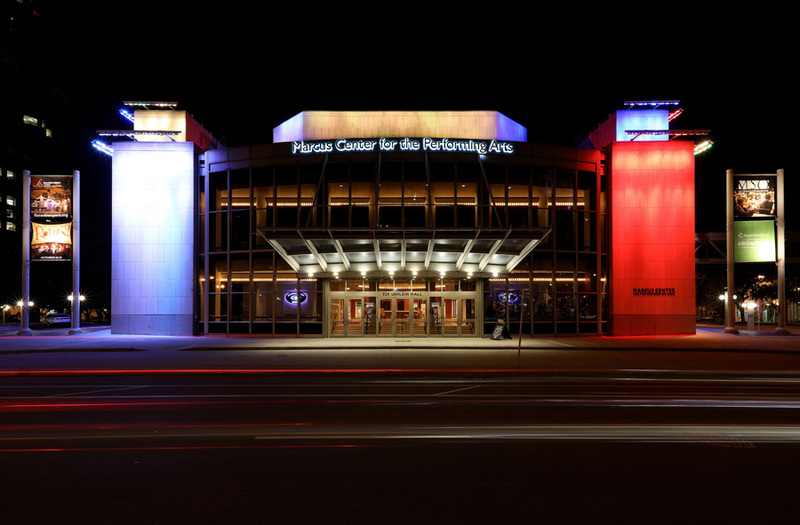 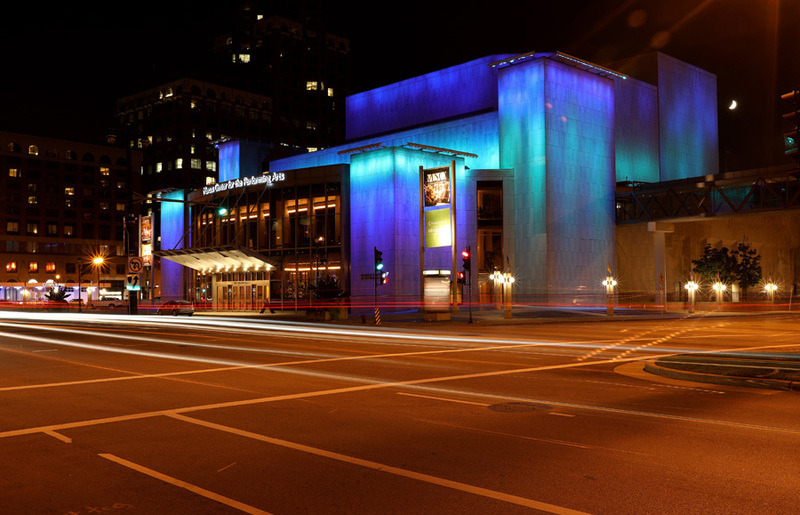 And before heading back to my hotel, I stop to get photos of the colors showcasing the façade of the Marcus Center for the Performing Arts.